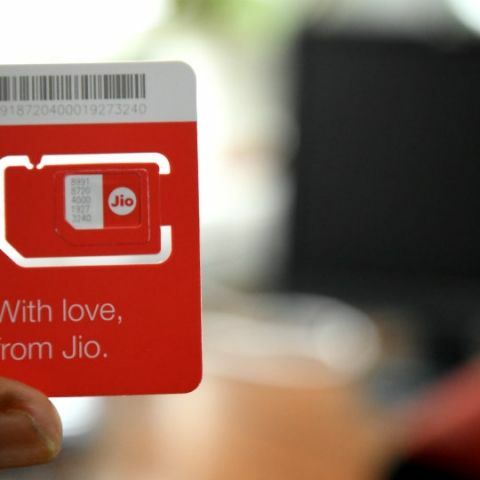 Reliance Jio has launched a new plan worth Rs 499 for pre-paid and post-paid users. The plan is valid for 91 days and offers 91GB of data. It should be noted that the plan is not visible on the plans page of the Jio website. The only way to see the plan is via the MyJio app or the recharge section of the website. Of course, the plan also offers other suite of features such as free voice calling and SMSs. The Rs 499 plan is placed in between the Rs 459 and Rs 509 plans. The Rs 459 plan offers 84GB of data for 84 days, while the Rs 509 plan offers 98GB of data for 49 days. 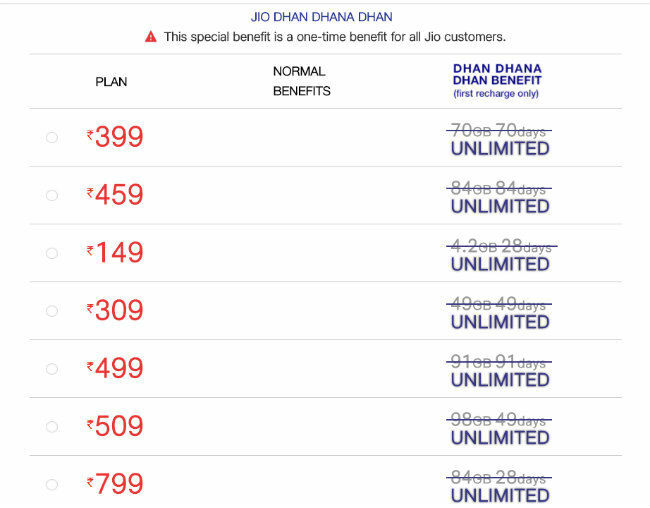 A few days ago, Reliance Jio updated its tariff plans and hiked up certain prices, while cancelling some other plans. With the new update, Jio’s data plans now start at Rs 52 and go all the way to Rs 4,999 for pre-paid users. Post-paid users can choose plans ranging from Rs 309 to Rs 999. Jio has also started shipping its JioPhone out to subscribers. However, the company seems to be running into delays with many buyers complaining to Jio on Twitter. Since the launch of the phone, other manufacturers and telecom operators have launched their own ultra affordable 4G phones. Airtel was one of the first to launch such a device by partnering with Karbonn to launch the A40 Indian. BSNL and Vodafone then partnered with Micromax to launch the Bharat 1 and Bharat 2 Ultra devices respectively. To know how these devices stack up against each other, click here. want to buy a new android phone with atleast 2gb of RAM.